Create a wonderful Christmas Door Wreath: We show you how to use a mixture of fresh/dried flowers, foliage, decorative balls, cinnamon sticks, and pine cones to create a gorgeous statement wreath for your front door. All flowers, materials and decorations supplied, just come and have fun! Create a wonderful Christmas Table Wreath: We show you how to use a mixture of fresh/dried flowers, baul balls, cinnamon sticks, fruit, candles and lush greenery to build a stunning wreath for your table. Perfect for those hosting Christmas functions. All flowers, materials and decorations supplied. 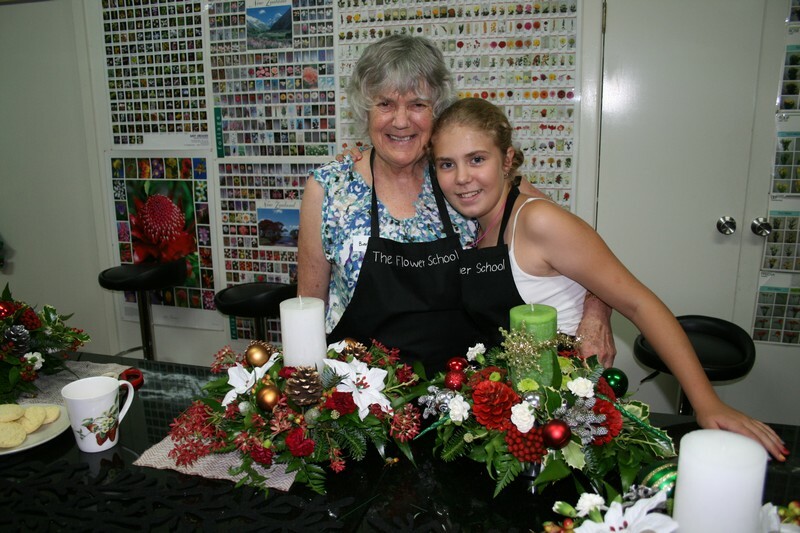 In this exciting workshop you will create your own table arrangement for the festive season using, fresh flowers, foliage, and festive goodies. Create a group and have fun with friends! Make your table festive this season! 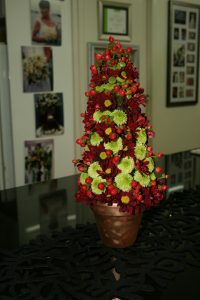 All flowers and materials supplied. Arrangements are yours to take home. This class will follow on after the table arrangement. 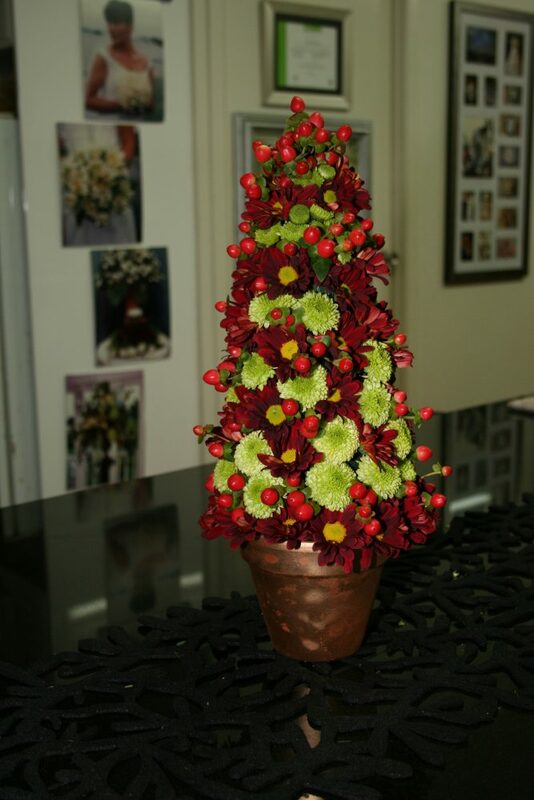 Treat yourself for Christmas, come and create a stunning mini Christmas tree for the table. Come and have some fun! This class will follow on after the Vase arrangement, on Saturday. Come for one, or spend the day with us and come for all three. Sharing creative ideas. 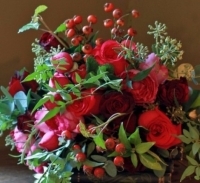 You will get hands-on training in the correct techniques for holding and constructing posies in a relaxed and informal atmosphere. This is the perfect skill to create lovely gifts and so much fun. Would you like to attend any of these classes?